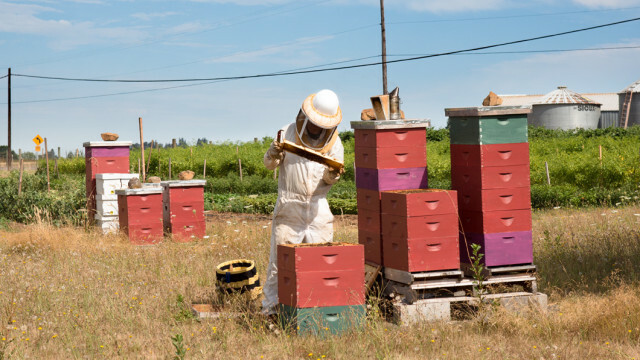 “Wolf and the Bees” is a short documentary by creative agency Juliet Zulu that profiles Wolf Carr, a vocal coach living in Portland, Oregon who spends his free time as an apiarist running Wolf Honey. The short is part of a larger series from Juliet Zulu profiling interesting Portlanders. Previously the agency highlighted arborist Jim Meyers. The honey you’re tasting from different boxes is a moment in time. You’re actually tasting a specific week or two that a certain flower was flowering. Ultimately, that excites me, being able to taste a very specific nectar from a very specific plant from a very specific time that will never happen again.